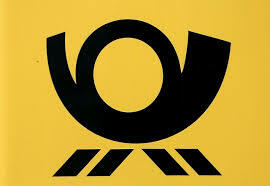 In Germany, there are two types of post offices: the normal “Post” and the so-called post agency (Postagentur). Post agencies are newsagents or stationary shops with a post office counter inside. They offer most of the usual services. You can identify both types by the yellow “Post” sign outside. 9 a. m. – 6 p. m., Sat: 9 a. m. – 1 p. m.
9 a. m. – 6 p. m., Sat: 9 – 12 a. m.
8 a. m. – 6 p. m., Sat: 8 – 12:15 a. m.
9 a. m. – 1 p. m., 2 p. m. – 4:30 p. m. , Sat: 9 – 11 a. m.
9 – 12 a. m., 2 – 5 p. m. , Sat: 9 – 12 a. m.
9 a. m. – 1 p. m., 3 – 6 p. m., Sat: 9 – 12 a. m.
If you need a postcode in Germany, you can find it online. When moving, you may want the post to redirect your mail (Nachsendeauftrag) or store it for you for a certain period of time. There are different services available (e.g. 6 months redirection: around 15 Euros).